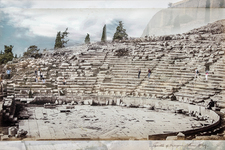 The photographer stood where I stand now. 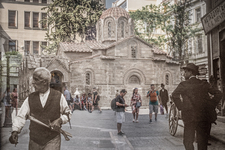 Two shutters open and close, a century apart. 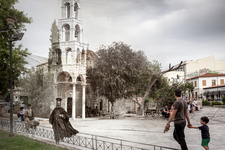 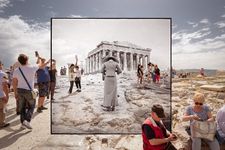 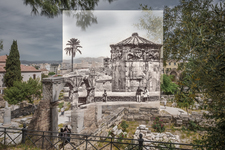 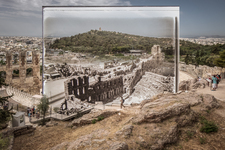 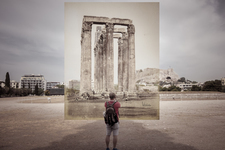 Over the course of two years I followed in the footsteps of the first photographers of Athens. 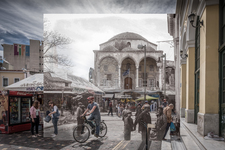 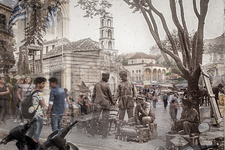 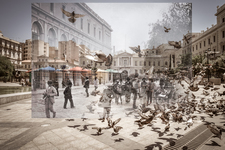 I rephotographed the scenes they had photographed, then digitally merged the past and the contemporary images. 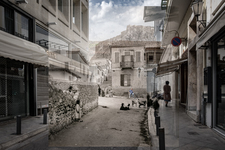 The work was exhibited at the Nikos Hadjikyriakos-Ghikas Gallery of the Hellenic American Union, Athens, Greece, June 2018. 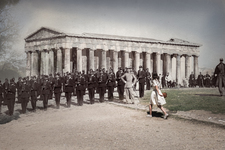 The vintage images are used by the generous permission of Editions Kallimages of Paris. 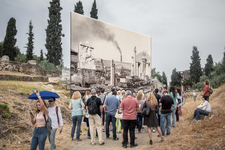 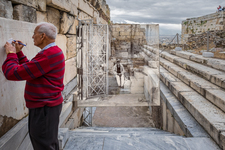 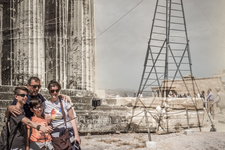 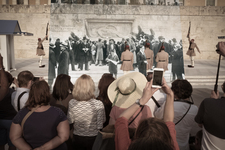 A portion of the work was shortlisted for inclusion in AthensPhotoFest 2018. 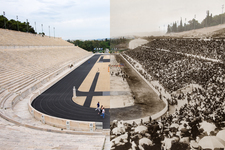 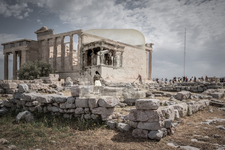 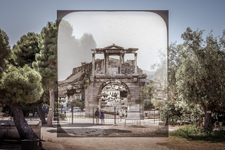 Fifty composite photographs are being published in Athens Twice Seen, to be released November 1, 2018.